Get announcements of new topics and important updates to existing topics from the City of Durango in your RSS reader or emailed to you as a daily digest. Subscribe to updates from the City of Durango, and you'll get emails announcing new topics and the outcome of existing topics. New survey available: how can the Durango Police Department best serve our community’s needs? The Durango Police Department is committed to serving our community by improving the safety and sense of security through reducing crime and the perception of crime. We want to engage and collaborate with our citizens and local partners to proactively address issues in order to improve the quality of life, helping make Durango the best place to live, work and play. With that in mind, we would like to hear from you to better understand the issues and concerns you have that are affecting your sense of security and safety as well as how we can best serve our community and meet your needs. Share your priorities for the future of Durango! Colorado Cities and Towns Week is a statewide opportunity, established by the Colorado Municipal League, September 11 - 17, 2017 for municipalities to connect with residents. The City of Durango’s focus during Cities and Towns Week is to identify the community’s priorities for capital projects and gather input on existing programs and services. To learn more and share your input, select the Read More buttton bellow. The City of Durango is developing a housing program to increase housing opportunties for its residents and we would like your feedback about housing needs in Durango. Thank you for participating in the conversation! 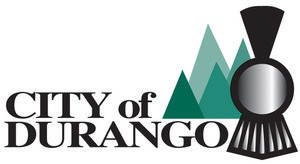 A new survey on Virtual City Hall asks for feedback on Durango's quality of life, population growth, and land use changes for the updates to the 2007 Comprehensive Plan. The survey will be available until February 5, 2017. The City of Durango is in the process of updating its 2007 Comprehensive Plan which guides the development of the community. This update will include an Arts & Culture element for the first time. Your opinions and ideas are critical to this process. We would very much like your thoughts on building a vibrant and creative community. Your input will be invaluable as we consider how to ensure the sustainability of our vital arts and culture scene. This survey will be available through December 15th. In addition to this public survey, please plan to attend a Community Open House on Thursday, December 8th at the Durango Public Library any time between 4:00 and 6:00 p.m. The City is currently evaluating the ways in which we communicate with the community. We would like to know how you currently get information from the City and if there are additional ways that you would like to receive information. To take the survey, click here. To sweeten the deal, two lucky respondents will be randomly selected to each receive $25 Durango Dollars. You must be registered with Virtual City Hall and confirm your email address to be eligible. The survey will be available until September 30th. Your responses will help us communicate better with you. Thank you for joining the conversation and good luck! The City is currently evaluating the cost of trash, cycling, and sustainability services and is seeking feedback from trash and recycling customers. To take the survey, click here. The survey will be available until July 8th. Your responses will help us develop programs to better meet your needs and ensure the long-term financial sustainability of recycling and trash services. The City is currently in the process of updating the 2012 Multi Modal Transportation Master Plan and is seeking feedback about transportation in Durango and how it can improve. The vision for the Master Plan is that a middle-school-aged child can walk, bike, or access transit independently throughout the city. To take the survey, click here. The survey will be available until July 11th. Comments will be incorporated into the Master Plan update - a draft of which will be available in Fall 2016. What is the Durango Districts Initiative you ask? It is a collaborative community effort led by the City of Durango to make sure Durango remains a well-planned, safe, and beautiful place! To do that, we need your input. The survey is designed to give staff from the Community Development Department a general sense of how the community views our City and how it should grow in the future. To learn more about the Durango Districts Initiative, visit www.districts.durangogov.org. To go directly to the survey, click here. The survey will be available until June 20th. Thank you for taking the time to complete the survey and provide input on this important initiative! On Wednesday, April 6th, 4:00 – 6:00 p.m., the City of Durango will host a public open house at the Durango Public Library (1900 E. 3rd Avenue). The open house will showcase and seek community input on seven finalist public art proposals. Public comments will be used to assist the art selection committee in determining the three new works of art that will become part of the City’s collection of public art. Community members unable to attend the open house are invited to use Virtual City Hall to view the sculptures and provide feedback. The City released a national Call to Artists in October 2015, requesting proposals for original three-dimensional works of art for three outdoor locations throughout Durango. Artists were invited to submit one or more existing sculptures for consideration by the selection committee. The expected budget for each of the three sculptures is $5,000 - $8,000 with a total budget of $24,000. The City received more than 117 proposals from across the country. A decision is expected in mid-April, and installation will occur in early summer. Although the local economy has recovered from the Great Recession, the City continues to address capital improvement projects and maintenance that were deferred during the Recession. One such need that has not been addressed is that of City facilities. The City of Durango has several newer buildings that are functioning well because of significant community investment – including the Community Recreation Center, Transit Center, and the Durango Public Library. But, there are numerous other facilities that are more than 30 years old and have been converted to City use from another purpose. This survey asks for input concerning potential sources of funding to address facility needs. Enter your name and home address (your private information is kept strictly confidential by Peak Democracy, Inc – the company that hosts Virtual City Hall – and is not shared with City officials or other users). You can decide if you would like to show your username or not. Click on the link in the follow-up email to complete the registration process. The City of Durango has released a draft North Main Avenue Corridor Mobility Plan for public review. In early May, the City partnered with Alta Planning + Design and New Mobility West in a public process which gathered input on how to improve mobility in and across the North Main corridor. Over 200 people participated in the process at a variety of stakeholder meetings, site visits, and a community meeting. The Plan provides an analysis of the corridor’s existing conditions and specifically points to areas where infrastructure improvements could increase pedestrian and bicycle connections to adjacent neighborhoods, businesses, and community amenities. The Plan emphasizes making the corridor more accessible for all different modes of transportation. The Plan also presents concepts for the re-design of three major intersections in the North Main corridor. The City, in partnership with the Colorado Department of Transportation (CDOT), is planning to use the recommendations in this Plan to guide the design and construction of improvements that could take place as soon as 2016. The City is now encouraging interested citizens to review the draft Plan and provide comments. Click here to access the survey. 2. Enter your name and home address (your private information is kept strictly confidential by Peak Democracy, Inc – the company that hosts Virtual City Hall – and is not shared with City officials or other users). You can decide if you would like to show your username or not. 3. Click on the link in the follow-up email to complete the registration process. The Durango Public Library is in the process of formulating our 2015-18 Strategic Plan, which will help to prioritize the allocation of resources in meeting the needs of the community. Your input also helps us to clarify our vision, and then translate that vision into broadly defined goals. For example, during the process of formulating our current plan, feedback from the community led us to improve our displays, invest funds in our eBook (Overdrive) collection, and begin sending “Materials by Mail” to homebound residents. The City of Durango has opened a new topic on Virtual City Hall related to the Transit system and would like your feedback. 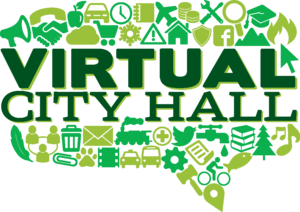 Please remember to register for Virtual City Hall so that your opinion will count! Please participate in one or both of the surveys, and please remember to register for Virtual City Hall to claim your feedback and be notified when more topics are posted.